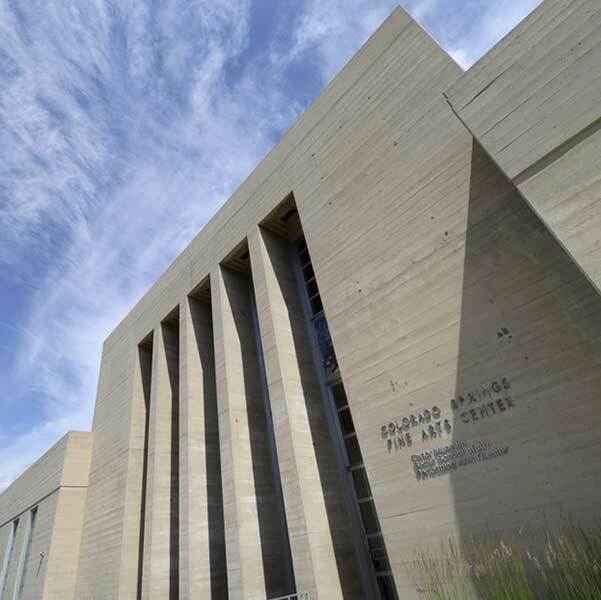 Colorado College and the Colorado Springs Fine Arts Center have received grants from the John E. and Margaret L. Lane Foundation, the Andrew W. Mellon Foundation, and the Marie Walsh Sharpe Art Foundation to support arts in the community and new educational initiatives. The gifts, which total $3.5 million, come from local as well as national philanthropic foundations, and follow on the heels of the recent announcement about the historic alliance between CC and the FAC. The $2 million grant from the John E. and Margaret L. Lane Foundation is committed to a permanent endowment held by Colorado College for the exclusive support of the Fine Arts Center. This newly established endowment will provide funding in perpetuity for the FAC’s diverse, ongoing mission to inspire community vitality through performing arts, visual arts, and arts education. The addition of these endowed funds enhances the ability of the Fine Arts Center to build on its decades-long tradition of producing art exhibitions in its museum, theatre, and performing arts experiences on its stages, and classes and workshops in the Bemis School of Art. The potential of the recent alliance also has aligned with the priorities of the Andrew W. Mellon Foundation, a leading international foundation making grants in higher education, humanities, and the arts, which awarded a $1.2 million grant to forge deeper academic connections between Colorado College and the interdisciplinary arts. The grant will allow Colorado College to expand existing teaching strategies and introduce a more diverse set of individuals on campus and within the community to the arts, with particular focus on programs related to the American Southwest. A major gift to the Fine Arts Center from the Marie Walsh Sharpe Art Foundation also supports educational initiatives by providing a scholarship fund for youth who show interest, initiative, and talent in visual arts and who don’t have the financial resources to undertake serious arts education. The $330,000 gift was made to the Fine Arts Center Foundation, which continues alongside the alliance with the college. The Marie Walsh Sharpe Art Foundation has funded arts education and aspiring visual artists for many years, and this year, their board made the decision to close the foundation and disperse its assets to like-minded arts programs. This carries on the legacy of their founder, Marie Walsh Sharpe, and is being made in honor of the foundation’s late executive director, Joyce Robinson, who had deep ties to the Fine Arts Center and served as the FAC’s director of education for many years.